Let’s face it, when it comes to finding the perfect credit card there is no short list of options. 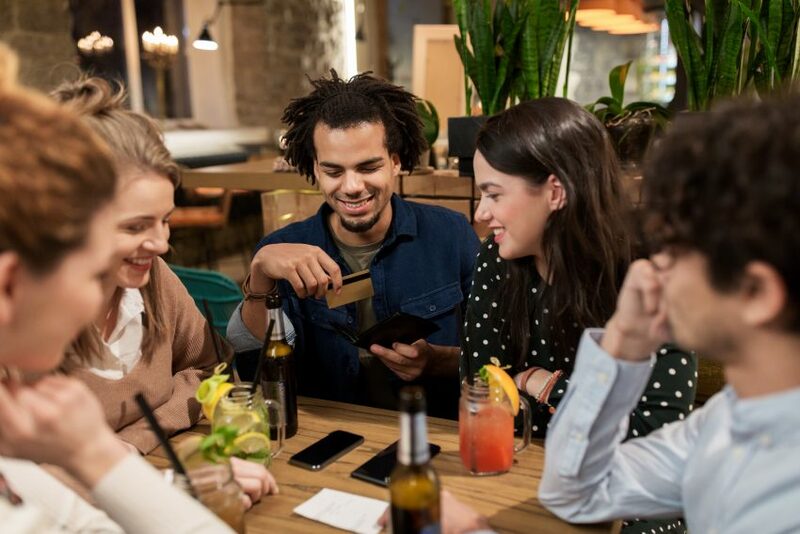 For this reason, we wanted to start off 2019 with some easy and practical steps to help you find the perfect credit card for your situation. Since there is no “one size fits all” credit card and we routinely tell people that there is also no perfect credit card that will dominate in all categories. Before we start, we want to encourage you to ask the right questions and really take inventory to your own personal spending habits. Knowing your credit score is the first step to making a smart decision when applying for a new credit card. Your ability to be approved for credit cards will directly correlate to your credit score. The higher your credit score is, the greater your chances are of getting approved. We highly recommend CreditKarma to get a free credit score. This is the website that I personally use to check my own credit score and best of all it’s free. 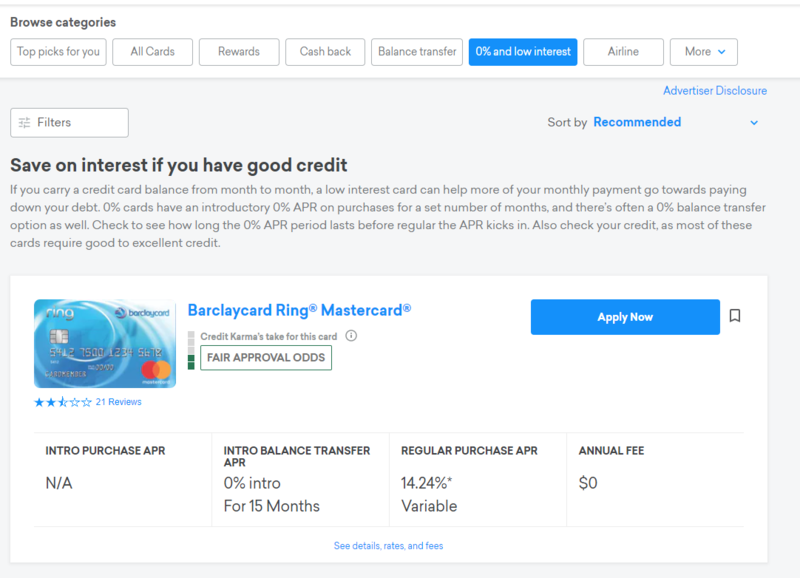 CreditKarma also has a nifty credit card marketplace to help match up your credit score with the cards that have the highest chance of approval based on your profile. If you don’t want to use a 3rd party service, you can also get free FICO scores from many credit card issuers. Also, for a fee you can obtain your credit report directly from Experian, TransUnion, and Equifax – the 3 major credit bureaus. What is my financial goal with this credit card? Credit is basically broken down into various numeric categories beginning with No credit (0) , Bad Credit (Below 599), Poor Credit (600-649), Fair Credit (650-699), Good Credit (700-749), Excellent Credit (750+). Knowing your credit score will help you be able to choose the credit card best suited to your needs. Travel & Cash Back rewards continue to dominate the most requested rewards from consumers today. There are other considerations with the types of credit cards you can enjoy. For instance, you may be looking to transfer a balance from an existing credit card to create a cash management strategy. Often credit cards will offer a 0% introductory offer for say 12 months on all balance transfers. This is an easy way to shift debt and save on interest payments. Other popular card features are Low APR or No Annual fees. Customers with the best credit score will qualify for credit cards with Low APR and No Annual fees. There are also features such as if the card is Pre-paid (Debt Cards) or Secured Credit Cards. Secured credit cards often require a deposit of $1500 – $2000 as a security and can also quickly enhance your credit score. Many young adults or students often start with these credit cards to establish their credit score. Also, consumers who are looking to rebuild their credit score often go with these options. Also consider the individual using the card. Are you looking for a business credit card? Perhaps you are a student heading to college and need a student credit card package with rewards that are more meaningful to your life. Most credit card customers use what is called “Personal Credit Cards” for their purchases. Which Credit Card represents the highest value? After you have narrowed your choices down a bit you need to look at which card represents the highest value to your financial situation and goals. Let’s look at a few differences that might help you decide which card is best for you. Typically credit cards will offer no expiration on reward points and offer lower spending requirements. Think about it, the less you need to spend for the maximum amount of benefits is the goal. When you acquire those point you also don’t want them to go away. Are you looking to pay your debt off faster? Then we highly recommend you look for a 0% balance transfer credit card to give you the option of shedding potentially thousands of dollars in interest payments. One other perk these cards typically give is also no penalty on late payments. These cards are designed to help reset your credit. If you are looking to rebuild your credit or establish new credit then we highly recommend a secured credit card. These cards will often automatically increase in limit over time. Also, many credit card companies will place your security deposit into an interest earning account so that you are earning money off your deposit. Once you have chosen the best credit card that fits your needs it’s time to apply. Don’t worry, there is ALWAYS a credit cared company out there willing to work with you so don’t get discouraged if you don’t get approved for the card of you choose immediately. Hopefully the credit card you choose will help you achieve your financial goals.